These projects range from a 20,000-seat indoor sports arena, to miles of new walking and biking trails, to the renovation of city schools. 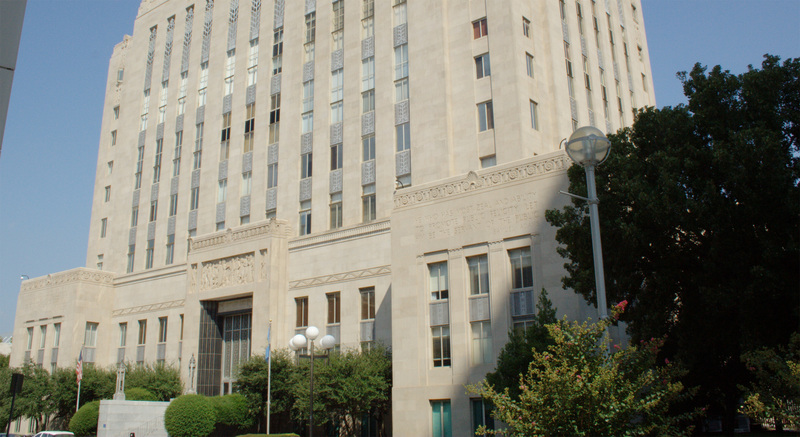 MAPS is the biggest development effort since the initial “land run” that created Oklahoma City, and it reflects the considerable influence of the chamber: These expensive projects are funded by time-limited hikes in local sales tax that voters must approve. 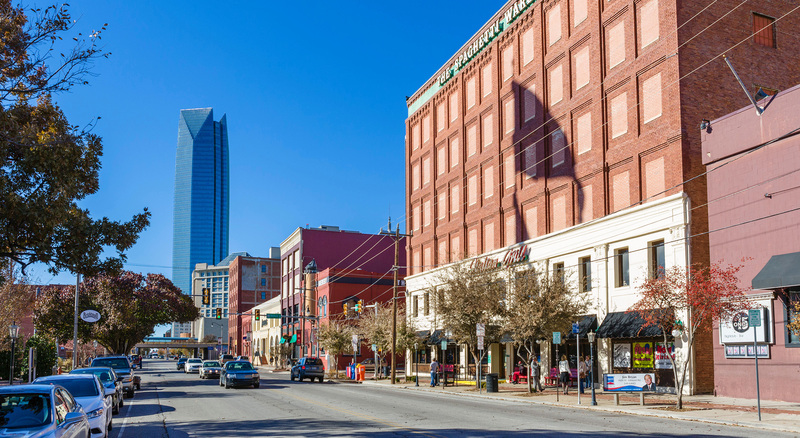 MAPS and allied economic growth have sparked a renaissance in Oklahoma City. Over the past couple of years, the city has ranked at or near the top of several quality-of-life indices. It’s considered a good place to buy a home, raise a family, start a business, and a good place for young people to live. That’s significant because when Clay Bennett was in his mid-twenties, the city was collapsing economically. Many of Bennett’s peers left during the dry nineteen-eighties, but he stayed and has consistently worked to bring the city back to life—and, according to him, the single greatest drain on the city today is the bloated county jail. 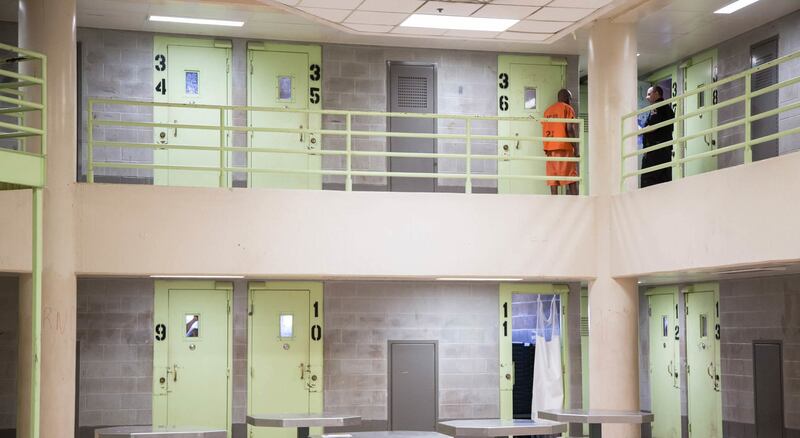 From the moment the jail opened in 1991, it has been plagued with problems. Some stem from deficiencies in design and construction, but they’re also the result of severe overcrowding. Built for 1,200 people, the facility has held twice that number or more. Use of incarceration in Oklahoma County has been growing for decades. In 1983, the precursor to the current jail held about 500 people at any one time. The new jail was built to accommodate growth and when it opened the daily population was roughly 750. By 2015, it was bursting at the seams, holding nearly 2,600 people. While incarceration rates don’t paint as vivid a picture, they tell the real story. Between 1983 and 2015, the incarceration rate per 100,000 Oklahoma County residents nearly tripled, from 119 to 432. This same trend, to a greater or lesser extent, is evident in counties across the country. As early as 2003, conditions in the jail were so bad the U.S. Department of Justice launched an investigation. The resulting report issued five years later documented numerous civil rights violations and depicted a facility that was essentially unsafe and inhumane. In one especially disturbing incident documented in the report, a pregnant woman labored for 10 hours, confined to a wheelchair and handcuffed to a railing. Her premature baby later died. Between 1983 and 2015, the incarceration rate per 100,000 Oklahoma County residents nearly tripled, from 119 to 432. For years, the only solution city and county officials could imagine was to build an even bigger jail, but there was no support from taxpayers for a project with a price tag close to $300 million. A new jail wasn’t a MAPS-style initiative the public could get behind. And for most of those years, local business leaders like Bennett looked the other way. The threat of litigation by the Department of Justice convinced the chamber’s CEO Roy Williams they needed to pay attention now or they would pay later. Local officials had remedied many of the problems DOJ had identified, but the jail was still woefully overcrowded. While federal officials were applying pressure externally, Bennett’s own perspective had started to shift. Years earlier, he was arrested for driving under the influence and spent a night in jail. “That’s nowhere you want to be; you’re stripped of every dignity,” he said recently. Bennett rarely talks about his own brush with the law, but as he encountered people who’d had similar experiences and learned about the number of people whose arrests stem from addiction and mental illness, he began to question the whole system. According to Oklahomans for Criminal Justice Reform, 77 percent of residents statewide personally know someone who has been to jail, prison, or some other correctional facility. Once incarceration becomes that prevalent, the system can’t remain distant and opaque. It was Bennett’s idea for the chamber to form a criminal justice reform task force that would look beyond the jail itself to examine why the county was incarcerating so many of its own. 77 percent of [Oklahoma] residents statewide personally know someone who has been to jail, prison, or some other correctional facility. Although Williams wasn’t initially enthusiastic to tackle an issue so far outside the chamber’s wheelhouse, he felt they had no other choice: “I knew deep down that government wouldn’t and couldn’t do it alone.” For him, it quickly became “another heavy lift that our leadership was taking on,” in a city where community buy-in comes when business leads. By looking at the nearly 40,000 jail admissions the previous year, the task force learned that roughly 80 percent of them involved people being detained pretrial, usually for nonviolent offenses, many of them minor. 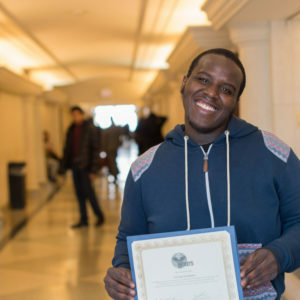 For example, more than 13,000 admissions involved someone who had violated a city ordinance—public drunkenness and shoplifting are common examples—or a state traffic law, such as driving on a suspended license. Thousands of people were jailed not for a new crime but for failing to appear in court, pay a fine, or fulfill some other obligation to the criminal justice system. And the most common charges at all levels of severity were drug and alcohol-related. The courthouse is kitty-corner from Bennett’s office. You can get the best shoe-shine in town there, according to him, and he used to get one regularly until security was increased after 9/11. I see these families that are stretched thin, hanging on by a thread, kids running all over the hallway. You can tell they’re hardly holding it together. I watch these young public defenders, totally overwhelmed and doing their best; judges handling way too many cases. I sit there and watch these people go down, one after another. Bennett understands how his passion may sound to others. “There’s nothing more insufferable than a newly converted believer,” he admitted, but his passion is pulling in others. It started with the task force members—none of the 22 people Bennett asked to join turned him down and attendance at meetings was high—and it has spread from there. Kris Steele used to be a state legislator, including serving as speaker of the house. Today he runs a faith-based nonprofit that helps men and women transition from confinement to the community, and he served on the task force. “When Clay began to articulate the need to help individuals who battle addiction or mental illness and to put an end to policies that set people up to fail instead of succeed, and identify this as a business issue, instantly other business leaders joined in a chorus of affirmation and validation,” Steele said. When Bennett would report back to the chamber while the task force was under way, people lingered in those meetings, Steele recalls: “They didn’t want to stop talking.” Their interest—and, among many, real commitment to the issue—has continued. Larry Nichols heads the Fortune 500 company Devon Energy, which is also one of the top employers in Oklahoma City. He made time to serve on the task force and when Bennett met with him recently, Nichols asked for an update on criminal justice before turning to the business matters that were the subject of the meeting. Today, both people Bennett knows and those he doesn’t are more likely to approach him to talk about jail than the Thunder, often describing their own experiences with the system and thanking him for speaking out. It’s a new role for a soft-spoken man who, according to Williams, typically shuns the spotlight. 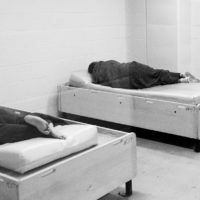 Oklahoma County has until January 2018 to resolve the crowded conditions in the jail. 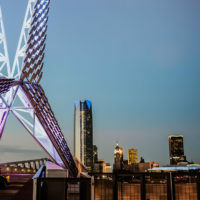 Even before the task force issued its report in December 2016, the population had been fluctuating, with a drop between 300 and 600 people over the last year due to administrative changes. None of this would have happened without the task force. While the task force was sparked and led by the chamber and included several influential leaders in business, its members were mainly leaders in government, from the mayor and city manager to the commissioner of the State Department of Mental Health and Substance Abuse Services. And most of the leading criminal justice officials were task force members: the county sheriff, Oklahoma City chief of police, district attorney, county public defender, and presiding district court judge. Bennett sees this coordinating entity as a foundation for deep reform. He envisions a MAPS for safety and justice stretching throughout the county. A percentage of the higher sales tax would sunset, like all other MAPS projects, once the jail has shrunk down to the size it should be and operates safely and humanely. But Bennett believes a portion of the tax would need to remain in place to fund drug treatment, mental health care and other services that can help keep people out of jail, along with the expense of operating a criminal justice system that treats people fairly and with dignity, which the current system doesn’t. Oklahoma has been a tough-on-crime state for decades. As a result, it ranks second nationally in the rate of incarceration overall and locks up more women per capita than any other state. But views on crime and justice are changing. 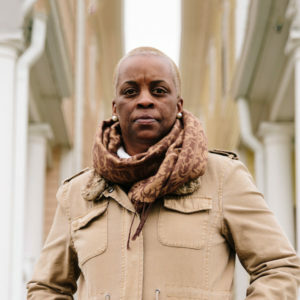 In November 2016, a month before the task force issued its report, voters statewide approved a pair of ballot initiatives to reclassify some nonviolent felonies—including drug possession and property crimes—as misdemeanors and reinvest the savings when people are diverted from jail and prison in treatment. Oklahoma ranks second nationally in the rate of incarceration overall and locks up more women per capita than any other state. But views on crime and justice are changing. The Human Toll of Jail is supported by the John D. and Catherine T. MacArthur Foundation as part of the Safety and Justice Challenge.